The Indian Pharmaceutical industry is the world’s 13th largest by value and 3rd largest in volume. India is the sixth largest pharmaceutical producer in the world. What’s more, the drug and pharmaceutical sector of India is projected to reach a sales turnover of US$85 billion by 2020. Also, the healthcare & pharmaceuticals are the highest paying industry in India. India exports a vast variety of vaccines to over 150 nations around the world. 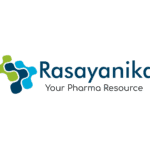 According to a report published by the Pharmaceutical Industry Analysis by Brand India Pharma, there are more than 3,000 pharmaceutical firms and 10,500 manufacturing units in India. Some of the top leaders in the Indian pharmaceutical industry are Cipla, Cadila, Lupin and so on. An announcement by National Health Policy 2017 suggests that the government efforts and investments will boost the growth of the pharmaceutical industry, introducing more pharma jobs. These will positively impact the jobs and careers in every related segment, including pharmaceuticals, medical equipment, health insurance, research and development, hospital care, clinical data management jobs etc. The Indian government, under the project ‘ Pharma Vision 2020’, is making efforts to make the country a leader in drugs and pharmaceutical manufacturing. To accomplish this project, the government requires a workforce consisting of over 21.5 million people by 2020. The growth in the pharmaceutical industry will lead to an increase in hospitals, universities, pharmaceutical firms, research institutes, and government departments. It clearly suggests that a career in Pharmaceuticals industry is going to bright and varied for students and young job seekers. The pharmaceutical and healthcare industry offers two career options – technical and marketing. The technical segment relates to manufacturing, quality control, and assurance, research, and development. To pursue a career in the technical segment, simple graduation will not help to make a bright career. You need a post-graduation degree, or better, a doctoral qualification to ensure a career growth. The second option is to make a career in marketing. There are numerous career options and scope in the marketing sector of the pharmaceutical industry. You can work in various departments, such as sales, marketing, advertising, consulting, brand management, and business development. You need to have a post-graduate management degree and the necessary skills to make a career in the marketing segment of the pharmaceutical industry. The Pharma and Healthcare sector in India provides ample opportunities to all young graduates for a long-term career. Any student with a science background, irrespective of their streams such as microbiology, pharmacy, chemistry, biotech, Biomed, can join this fast-growing industry. You can join a privately-owned manufacturing company or look into pharma govt Jobs. The basic qualification for a career in the Indian pharmaceutical industry is a two-year D. Pharma (Diploma in Pharmacy) and hospital training after the diploma. Alternatively, students can pursue a four-year Bachelor of Pharmacy degree (B. Pharm) and a two-year post-graduation degree (M. Pharm) for a better career in the industry. Ph.D. holders make a career in research and join research centers. You are in luck if you’re seeking BSc chemistry jobs or MSc chemistry jobs because degree holders are always preferred over diploma holders. Whether you’re a management graduate looking for jobs in Pharma Company or hold a diploma, degree or Ph.D. in pharma, opportunities are endless.